Here is a report on our Pad for Pad progress from this past year. Target for the year 2016-17: As Eco Femme continues to see sustained growth in commercial sales which finance the Pad for Pad program, we aimed to expand our reach from 4000 girls to 6000 – 2,000 via direct implementation and 4000 via partners organisations (existing and new). *The cloth pads are offered as a choice for girls, some choose not to receive a kit. We exceeded our target number of girls by 9% – reaching 6539 girls! We are also happy to say that we crossed beyond our targets for the number of pads distributed and education sessions. While donations were less than target, we were able to meet and exceed the pad gifting targets due to a financial surplus from last years program. We welcomed 9 new remote partners this last year Reaching Hand in Bangalore, Dharavi Diary, Jayshree Hatangadi, Nidan, Rachana, Gramalaya, Telangana Resource Centre and Center for Humanitarian Assistance Trust (CeFHA) and Hope for Cancer Patients (HCP) and look forward to a continuing relationship with them in the coming year. We have designed a clear module to train facilitators in MHM education this year. Using this module, we have conducted 15 training of trainer workshops, 8 through remote training and 7 through direct training. 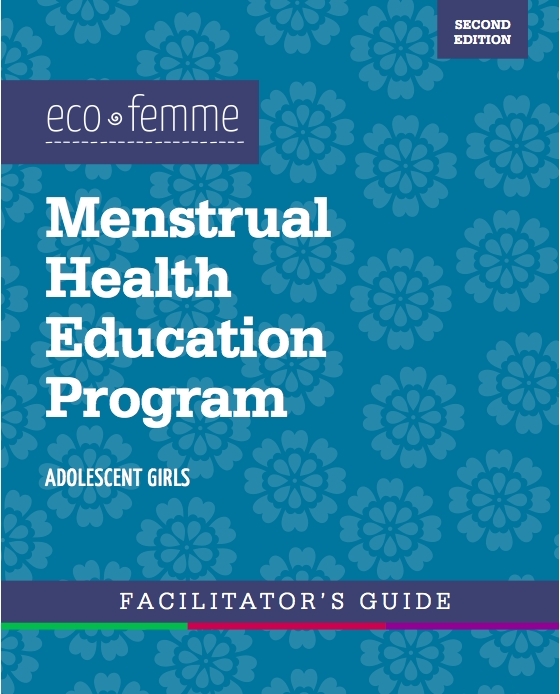 The trained facilitators are now able to deliver holistic Menstrual Hygiene Management sessions and communicate about female anatomy and the menstrual cycle, menstrual hygiene and health, do product analysis with young girls/women for them to be able to make informed choices about menstrual products. This has been a work in progress over the past 6 months and we are delighted to now have a 2nd edition of a user friendly facilitators guide for conducting a 3 hour introductory seminar into safe MHM practices. Increase in content from 1 ½ hour session to 3 hours. One of our learnings through our impact assessment research has been the need to spend more time with the girls to increase knowledge retention of key aspects of our MHM awareness sessions. 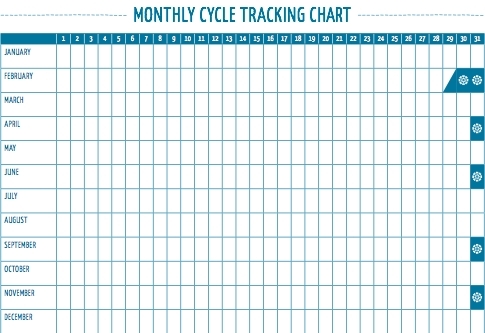 Broken into two 1 ½ sessions, we have refined and edited the sections for menstrual cycle tracking, product analysis and reflection though the inclusion of more participatory processes, different learning tools in the revised guide. We have also included a detailed FAQ as resources for facilitators. We are now using this 2nd edition as our primary training guide and are in the process of updating our partners about these changes. This guide is freely shared and is appreciated for the clarity of information and structuring of topics to help new and experienced facilitators cover essential topics in an engaging and context relevant way. We welcome two additions to the Pad for Pad program as we say goodbye to Harishini who is moving on after being a truly valuable part of our team for the past three years. We will miss her! 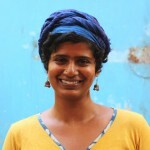 Nikethana has joined our team as a facilitator and trainer for our not for profit work, working with both the Pad for Pad and Pad for Sister programmes. Kalvi from our Marketing and Sales team is now a trained MHM facilitator who will take sessions for schools in Auroville and its bioregion along with Meera and Nikethana. 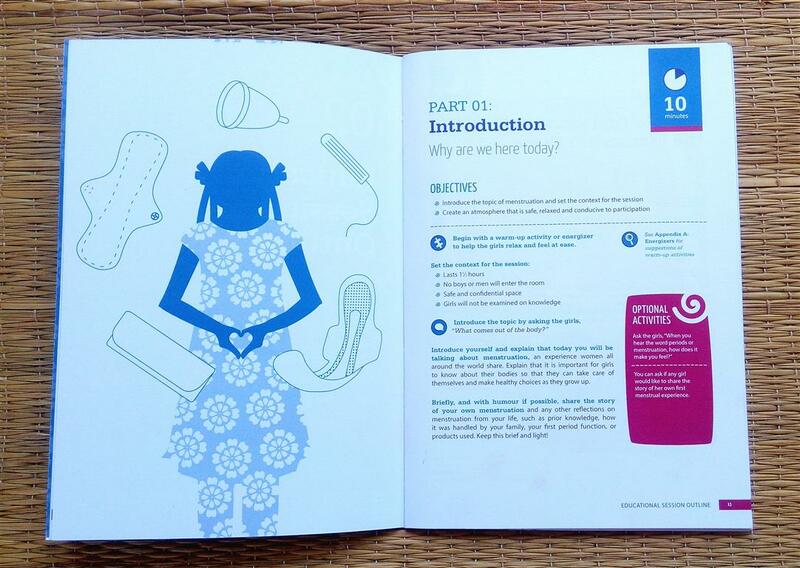 In late 2015 we started detailed research to better understand the adoption to cloth pads from girls who previously used disposable sanitary napkins and to see if the 1 ½ hour MHM awareness sessions we provide added knowledge to the girls that translated into increased confidence and skills to manage their period in a health and dignified way. To study the impact of our MHM awareness sessions in both cloth pad adoption and knowledge retention. To provide appropriate evaluation tools for our remote partners to do the same. We have been working with Dasra and research consultant Anna Schurmann who is a specialist in Public Health to undertake a 1 year study with 300 adolescent schoolgirls in the Auroville bioregion to measure the impact of the program. By midline we realised that data quality was poor and decided to abandon the survey methodology. We have struggled with finding the most culturally appropriate tool for collecting clear and valid data . We have continued to explore various tools including facilitated surveys, focus groups and in depth interviews with varying degrees of success. We are now reaching out to our closest partners for advice regarding their experience gathering data on this topic and continuing to experiment with different tools. Crossing our targets for the P4P program! Conducting 15 sessions of our Training of Trainers program for MHM facilitation. A revised second edition of our MHM training manual. Expanding our Pad for Pad team, with two newly trained MHM facilitators. Ongoing work on our impact assessment tool. We have a new target of 8000 girls for coming year, 1500 from direct implementation and 6500 from partners. We will continue to develop and refine our monitoring and evaluation practices to be able to assess with quality our impact and growth. Please feel free to reach out to [email protected] with any questions or feedback about this program.